Yes, you read that right. 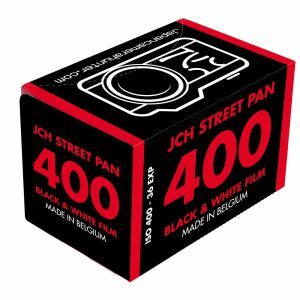 JCH has teamed up with the awesome NYC based strap company Tap & Dye to bring out a limited edition JCH special strap. Check it out. 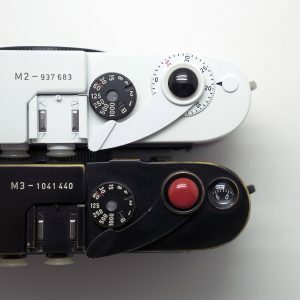 As you know, I am rather fond of nice handmade camera bits and bobs, and I have been interested in the work of Tap & Dye since I saw them featured on Petapixel. But I never thought we would end up teaming up on a limited edition strap. I am pretty excited I can tell you. 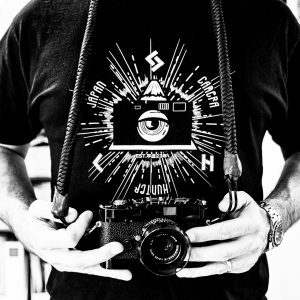 A few months back Justin at T & D and I got in touch and started working on the idea of a custom strap for JCH. 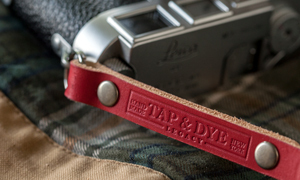 I knew I wanted it to be the best quality, and I knew that T & D would be able to handle the job of making the strap really special. And the result are better than I could have ever imagined. The quality is really high, and the crimson leather is really striking. The real thing that I like though is the adjustable section of the strap, as sometimes I find straps too long. T & D have clearly put a lot of thought into this strap. 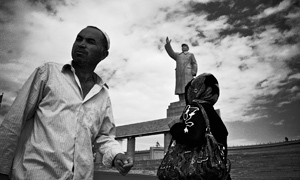 The company was founded on the simple principal of quality above all else. 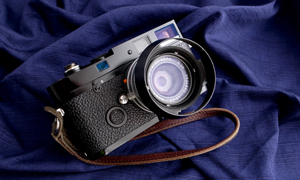 We specialize in quality heritage items that are built to last. Each leather good is made in small batches in order to uphold the highest quality standards and as no two are alike, each one will patina beautifully and uniquely for each owner. Our products are handcrafted from extremely durable, vegetable dyed full grain cowhide leather sourced from North American tanneries. All hardware components are sourced from vendors and manufacturers within the U.S. Every step of the process from start to finish, including cutting, sanding, stamping, dyeing, finish etc. is machine-free, done entirely by hand using traditional leathercraft tools. I like this kind of traditional craft work. A trade, something that takes time and patience to learn. That really appeals to my sensibilities so it is great that T & D could team up with JCH. When you get the strap you also get this lovely little limited edition tag too. Pretty cool. Now, on to the strap. The JCH Special Edition – Crimson Dark Amber. 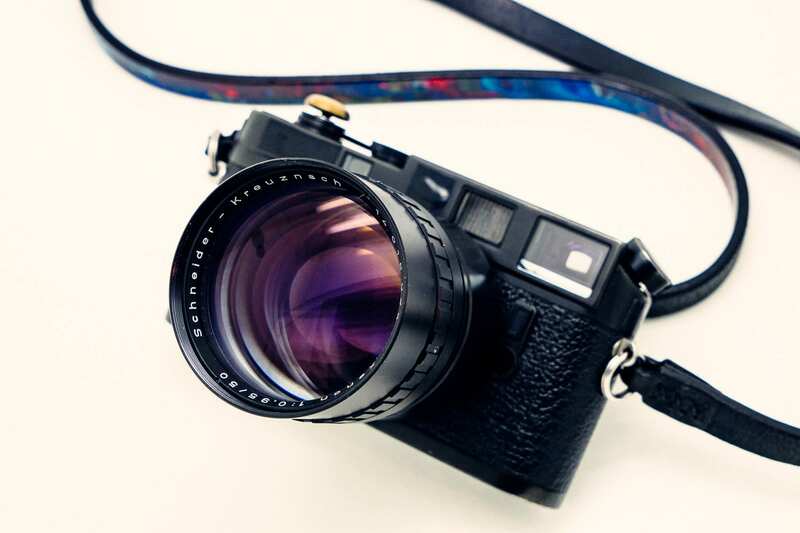 This is a limited edition strap, with only 50 units being made to order, each strap will be individually branded with a serial number increasing consecutively from 001 to 050. Turnaround time for each strap will be 1 week to ensure the highest quality standards. The JCH Special Edition – Crimson Dark Amber. 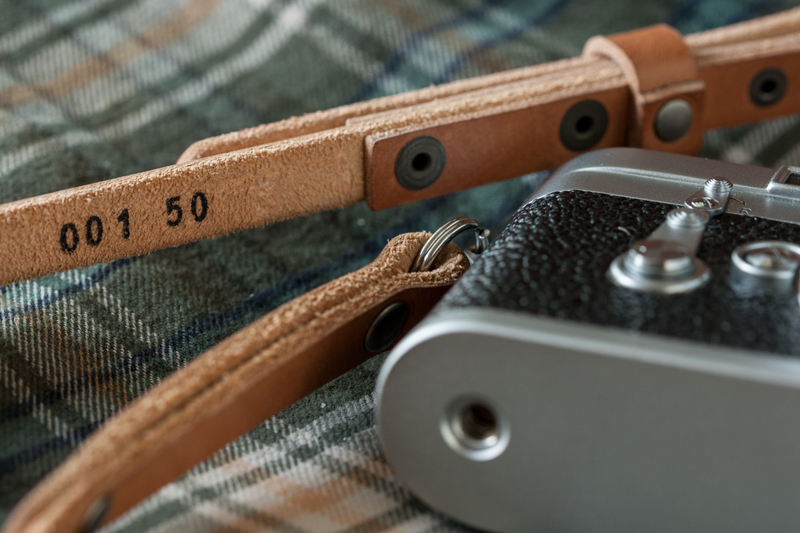 A limited edition adjustable leather camera strap in collaboration with Japan Camera Hunter. 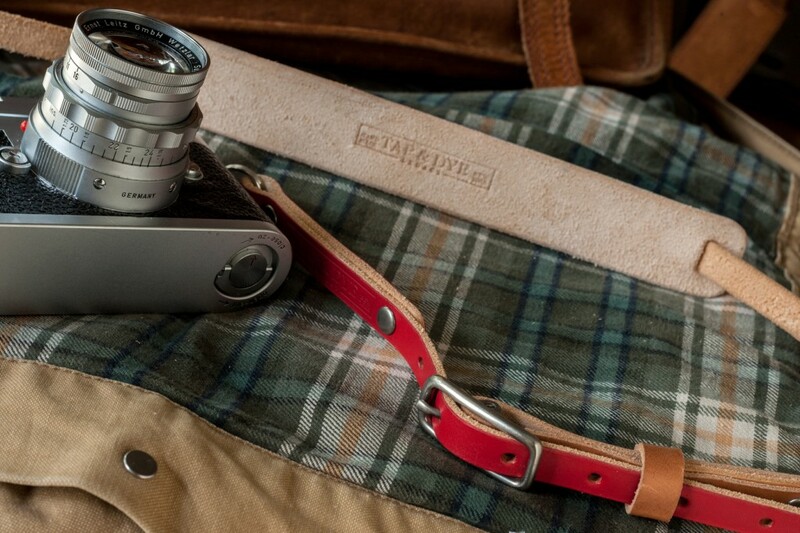 This rugged leather camera strap features an adjustable design in a crimson red finish that allows for an easy transition from neck strap to sling strap. It will also come standard with a built in neck/shoulder pad in a dark brown finish. 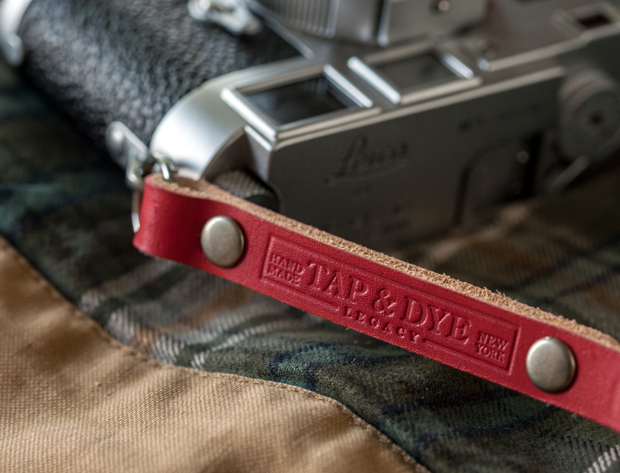 The strap finish will be called “crimson dark amber” as marked on the label tags. 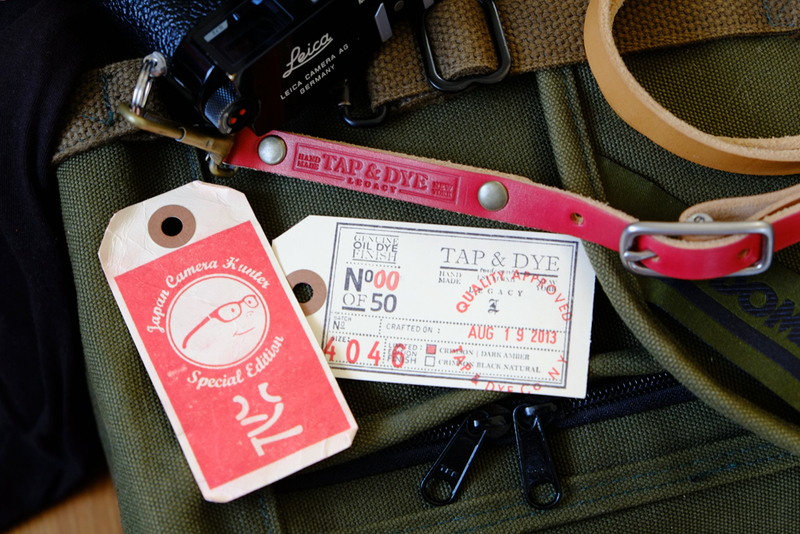 As with every strap, each piece is individually dyed and finished by hand. The dark amber color is achieved through an oil dyeing process and then finished with melted beeswax to seal, protect and waterproof the leather topcoat. The same process will be applied to the neck pad as well. 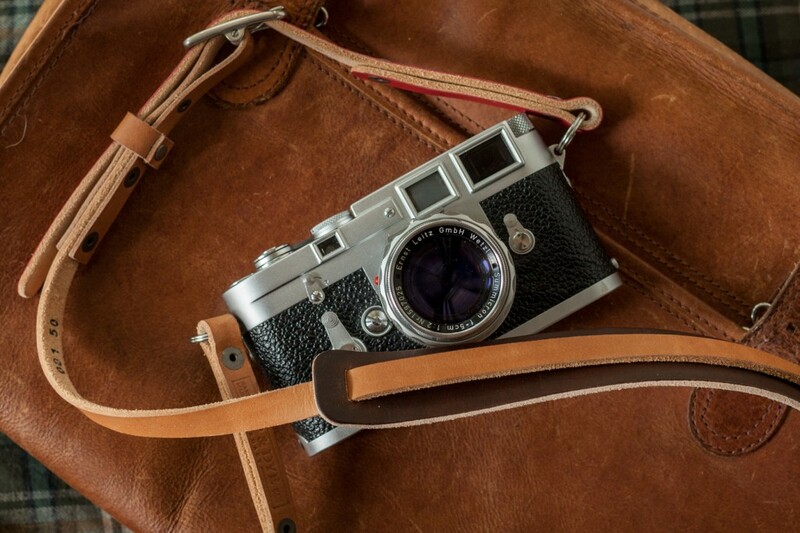 – Each strap features durable, high quality antique nickel plated solid brass rivets and center bar buckle. And one of my favourite things is when you get a proper package in the post, as if from another era. 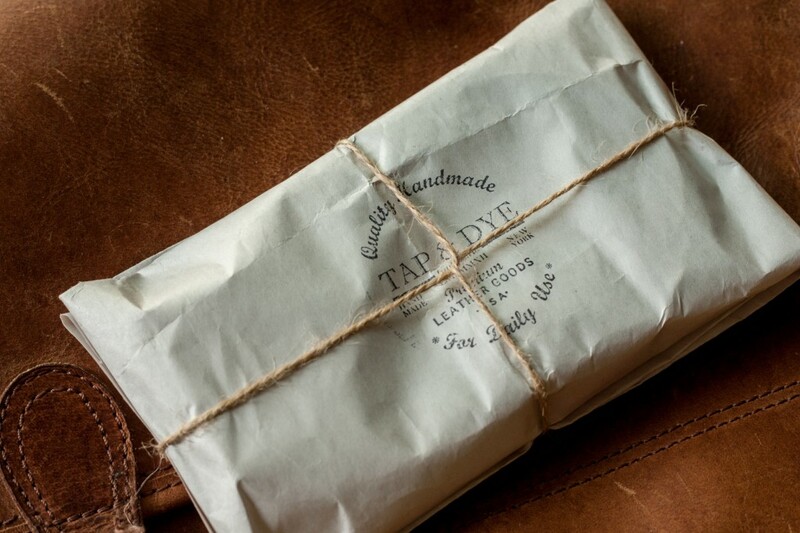 Well Tap & Dye don’t disappoint, the strap comes beautifully wrapped and waiting for you to break it in. Each one of these limited straps will be available whilst stocks last (and I can tell you, no 1 has already gone), from the Tap & Dye webshop. The straps are $150 USD each. A small price to pay for handmade quality. You tempt me too much! 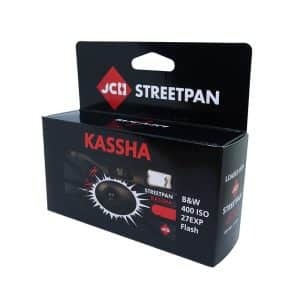 Now does it go on the M6, F3T or D600? I got a #1 too! Very nice! I’m just a bit confused about the color? Some of the images show it as being light brown, and others as red. And the text speaks about both crimson red and dark amber. So which color is it?! I think its red on the left side (the adjustable part) and tan the rest. so beautiful! first class! congrats. 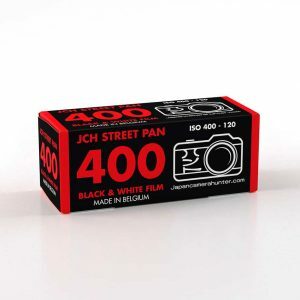 I’d love if it was available for a Leica M5. Any recommendations? 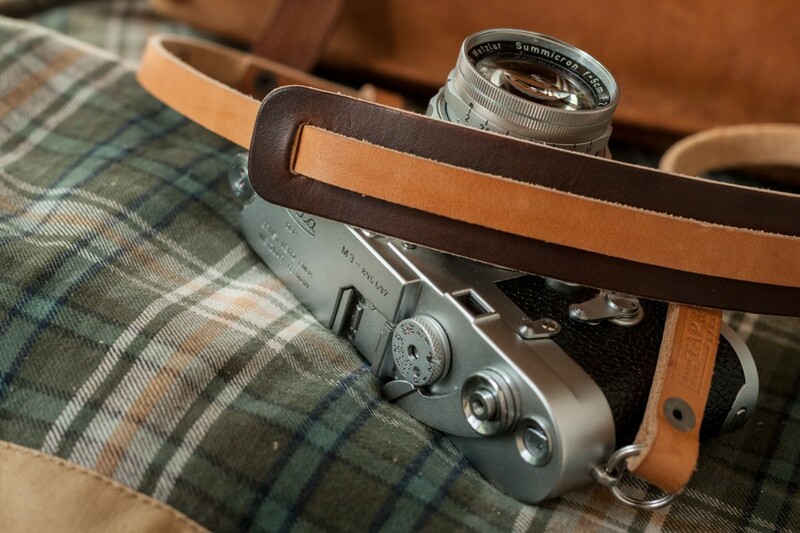 Exclusive handmade leather strap from Gordy Coale, a leather craftsman who specializes in fabricating unique, one of a kind camera straps for photographers worldwide. Oh, no … way too much metal on these straps. 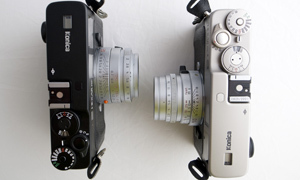 A for sure way to scratch up your viewfinder and any other glass on your camera while transporting in a bag.